Here at Gluten Free Travellers we want your gluten-free life and travel to be as stress free as possible! We have compiled a list of our favourite resources and blogs to help you have as much information as possible to make living with Coeliac disease or gluten intolerance as easy as possible. Our gluten free blog offering tips and recommendations for travelling with Coeliac disease or gluten intolerance. An independent discussion forum for people with coeliac disease. For news on coeliac disease and other digestive disorders, visit Boots WebMD. A great selection of gluten-free recipes sourced from a variety of books, websites and chefs and brought to you by Channel 4 Food. NHS Choices has thousands of pages of content about related health and wellbeing issues which may be helpful to those with coeliac disease. There are also videos, blogs and information about current clinical trials and symptoms specific to coeliac disease. The Anaphylaxis Campaign is the only UK charity to exclusively meet the needs of the growing numbers of people at risk from severe allergic reactions (anaphylaxis) by providing information and support relating to foods and other triggers such as latex, drugs and insect stings. The working name of the Digestive Disorders Foundation which fights digestive disease. Diabetes UK is the leading charity working for people with diabetes. We fund research, campaign and help people to live with the condition. The NOS offers support to people with osteoporosis, their families and carers through a range of information booklets, a national telephone helpline and a network of regional support groups. The IBS Network – the national charity for irritable bowel syndrome. An annual campaign on digestive health. 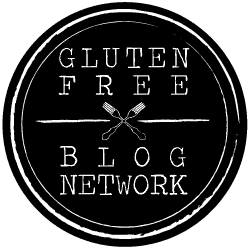 Do you have a favourite gluten-free resource or blog? Tell us in the comments so we can add it to the list!